Gold is continuing through its extended gains and hit a spot price of $746.30 an ounce early Monday morning. That’s the highest level seen since January 1980. Will increasing gold prices continue to forestall the resumption of U.S. Mint gold coin sales? To date, it appears that way. On September 13th, the United States Mint suspended the sale of all their 2007 American Eagle Gold Uncirculated Coins. Their reasoning was the "increasing market value of gold". The Mint indicated a price adjustment would occur for those coins on or after September 27. That September 27 date has come and gone. We’re now in the "after" period indicated in the Mint’s initial statement. Further, American Eagle Proof Gold coins have been added to the Mint’s suspension list. Given that gold prices have risen even higher, the Mint is in more of a quandary. 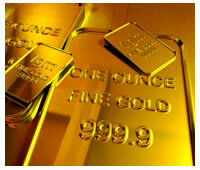 If they set new prices and gold continues to rise as it has, they’ll have to suspend sales once again. And they obviously don’t want to set prices too high and hurt sales for the rest of the year and into the next. It’s admirable officials at the Mint want to be business-like and make money, but shutting the doors of American Gold Eagle sales for more than two weeks now isn’t what a business does. As an example, coin dealers haven’t stopped selling bullion coins. They fluidly adjust prices, as necessary. Ideally, the U.S. Mint bullion products would auto adjust based on current precious metal prices too. That’s something consumers and collectors can understand. "Due to the increasing market value of gold, the American Eagle Gold Uncirculated/Proof Coins are temporarily unavailable while pricing for this option can be adjusted; therefore, no orders can be taken at this time." Or, more clearly, "we can’t sell you gold eagles and we can’t tell you when." That’s not exactly inspiring to Mint customers. Let’s hope we see the United States Mint selling American Gold Eagles soon and that we don’t have to experience future stops and goes. I agree with the article. The mint should just tie the price of thier offerings to the spot market. They would not be competing with bulliion dealers since the mint offerings include an additional premium for the numismatic value of the coins and thus addresses a different market.